Shopping at the exchange or commissary at Scott Air Force Base in Illinois can sometimes be more time consuming than it should be, especially for military families trying to scour the internet for savings when they already have other hardships to worry about. That’s why, at MyMilitarySavings.com, we’ve made it our mission to help members of the armed forces and their families find all the best coupons and deals on one easy-to-use website. We provide access to exclusive coupons and special discounts, as well as helpful links to all of the exchanges, including the Army and Air Force Exchange Service, and the Defense Commissary Agency (DeCA). 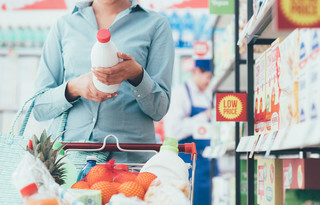 You’ll even be able to plan your shopping trip to the commissary and exchange ahead of time with our “My Shopping List” tool and weekly online access to the Price Connexion and Coupon Connexion. Members also have access to an active online community of military families stationed all over the world who not only share helpful tips for stretching your dollar at the exchange or commissary but also recipes, travel tips, and more. You can further connect with other military shoppers at our Facebook and Pinterest pages. If you’re interested in more information about exciting savings at the commissary and exchange at Scott Air Force Base, IL, enroll for free at MyMilitarySavings.com today.